Here we will review Floraheal’s Brain Focus supplement. According to the company’s description, this product is meant to naturally boost and also enhance memory function. They state this supplement will help to focus and target the root of the problem for memory loss and neutralize it. If you are curious as to whether or not this product is meant for you and your cognitive needs, keep reading this review to find out more. Ginseng: helps to promote and also increase the quality of life. Mistletoe: treats circulation and respiratory issues. Rosemary: touted for improving memory. Other ingredients include: vegetarian capsules. This product is vegetarian friendly and kosher. The recommended dosage for this product is four capsules daily with food, unless otherwise directed by your healthcare practitioner. There are no listed possible side effects, however we always suggest you speak with your doctor before taking any new type of dietary supplement. If you are a woman who is pregnant or nursing, a person with an existing medical condition, taking medication, or just unsure as to whether or not this product is for you, speak with your doctor to learn more about the product and its ingredients. The price for a month’s supply (120 capsules) will cost you $28.49, which is very reasonable for a supplement containing that many capsules. The company offers free shipping as well. We could not find any information about a subscription or purchasing in bulk. The company offers a 100 percent satisfaction guarantee. If you are at all unsatisfied with the results provided by this product, you can return it for a full refund. We did not find specific information about returns for this product so we do recommend you contain them first about any inquiries you have for the guarantee. We could not find any reviews for this product. Even after extensive research online, we could not find any information as to what customers thought about this product. Floraheal’s Brain Focus supplementshave a good deal of upside. The ingredients are vegetarian and kosher and the price is very reasonable for 120 capsules. The company also provides free shipping which is a great incentive for many new customers to try the product. Also there is a customer satisfaction guarantee which will alleviate fears of wasted money on a product that may not work for you. However, we did notice there are no reviews on this product to be found. Despite what the company states, it is always better when the claims are supported by customers who have tested and used the product for an extended amount of time. 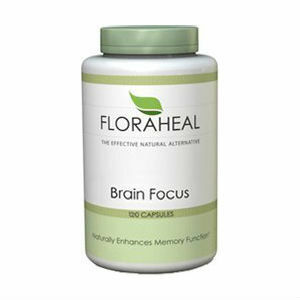 Henry Costa	reviewed Floraheal Brain Focus	on November 20th	 and gave it a rating of 2.5.